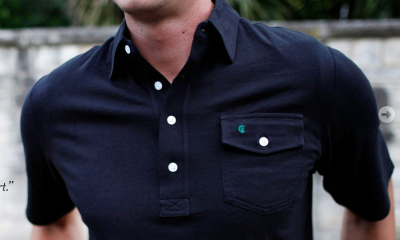 The search for the perfect polo is over. It’s about time. Time for a unique kind of shirt beyond the usual white, blue or striped pull over. From the guys who bring you the best combination of heritage, comfort and style, they say that you’ll never find this anywhere else in a polo shirt with sleeves that go all the way to the wrist. It’s a Criquet polo shirt. Criquet Shirts officially started in 2010, but the origins of the company go back much farther than that. Criquet founders Billy Nachman and Hobson Brown first met in kindergarten at an all-boys school in New York City. The school uniform included a polo shirt. A friendship was born, and along with it came their lifelong journey to find the perfect shirt. Over the years the two sampled polos of many shapes and sizes: baggy, fitted, emblem/no emblem, rounded collar. There were some very close calls along the way – hand me downs and an occasional thrift store treasure; golf shirts Billy’s grandfather wore in the 70s; a favorite that Hobson picked up on vacation that he could never find anywhere again. Instead of continuing to lament that they’d never find THE ONE, they decided to take matters into their own hands. They gave up the search and instead designed their own. They combined old-school preppy with a splash of hipster styling. Vintage-inspired, with the modern twist of certified 100% organic cotton fabric. An instant classic. A shirt built to be inherited. 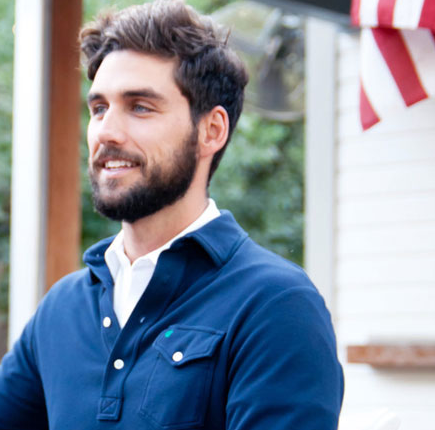 Here’s why we love this shirt: It's green and is 100% certified organic pique fabric that is American-made in a classic style for progressive guys (read: stylish). It has smart details. It is available in Pine, Peacoat and Black Walnut. It has a removable collar stays to keep collars crisp (say goodbye to the curly bacon collar). It sports button cuffs so you can wear them down or roll the sleeves up. It has a chest flap pocket with secret pen stash and also has a subtle contrast color-stitched piping on the sleeves and collar. It's a versatile shirt because it looks great tucked or not and can be worn as an over-shirt or on it's own. Best thing is that has a rugged elegance and be worn chopping wood or sipping cocktails. Looks like there might be a Criquet polo shirt in your future.